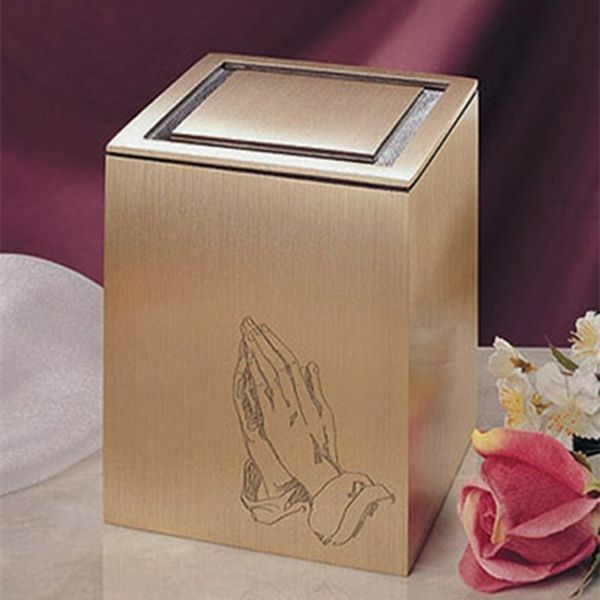 This is a full-size single urn and is designed to hold the cremains of a person having a total body weight of up to 215 pounds prior to cremation. 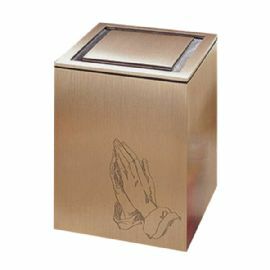 The Guardian Praying Hands cremation urn is a rectangular wrought bronze cube. It features a Praying Hands engraving.